This past weekend, September 16th – 17th, was spent up at Lake Oconee, Georgia with the Georgia Kayak Fishing 2010 Tournament Trail. 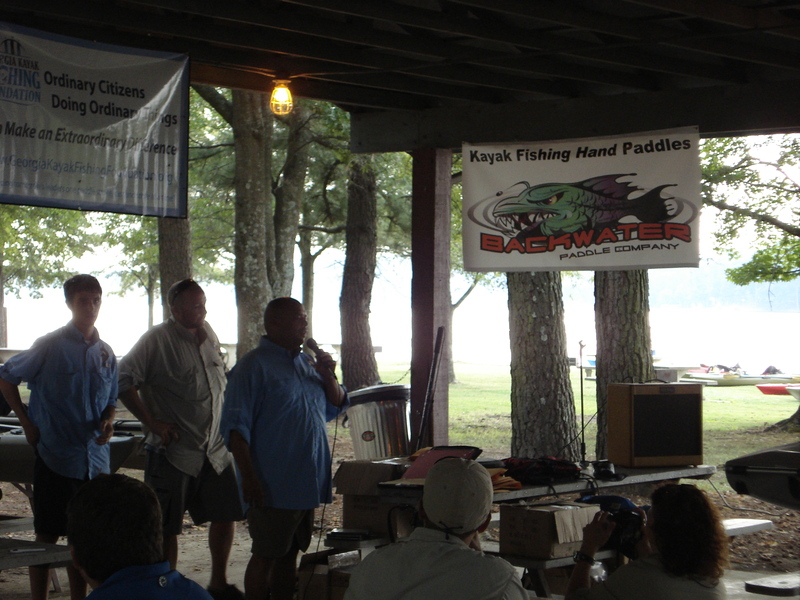 Backwater Paddle Company has been a sponsor of this state’s kayak fishing tournament all season. This last trail leg was blessed with beautiful Lake Oconee as a backdrop and finally, wonderful weather! No rain!! The last time Backwater Paddles met the GKF Team was up in Tallulah Falls, Georgia earlier this year to fish the northern lakes. All I can say, coming from Florida up to the Georgia hills and mountains is a special treat. Florida, being a topographically challenged state…all flat, driving through the mountains and seeing all the terrain features is something I just cannot get enough. Tony Narcisse and his Georgia paddle sports posse, put together one of the finest kayak angling tournaments. I cannot fathom all the hard work and logistics that must go on to present such a fine event. All I know is that he has some of the best staff (men and women) working relentlessly to get this show out. Special thanks to Tony, Stan, Zach, Ruth and Debbie for the wonderful tournament presentation! Paddle on my friends!! This entry was posted in Backwater Paddle Products, Kayak Fishing Tournaments and tagged fishing, kayak fishing, kayak fishing hand paddle, kayak paddles, paddle sports on September 21, 2010 by Paddleman.